Governor Henry McMaster, Melanie Marks (holding award), Erin Schumacher, Town of Bluffton's historic preservation principal planner. Photo Courtesy of Governor's Office. 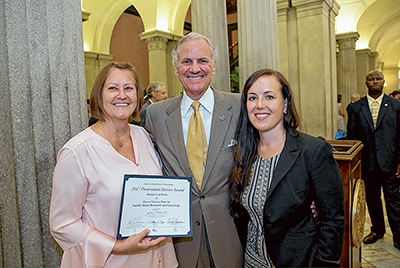 Bluffton resident Melanie Marks received a 2017 South Carolina Historic Preservation Award June 16 from Governor Henry McMaster. The award recognized her extensive research regarding the Cyrus Garvin-Garvey family genealogy. The Garvin-Garvey House, built around 1870 and located in what is now known as Oyster Factory Park in Bluffton, is the only house still standing on the May River that was previously owned by freed slaves. The Town of Bluffton recently rehabilitated the house and it is considered an asset of the National Register Historic District. 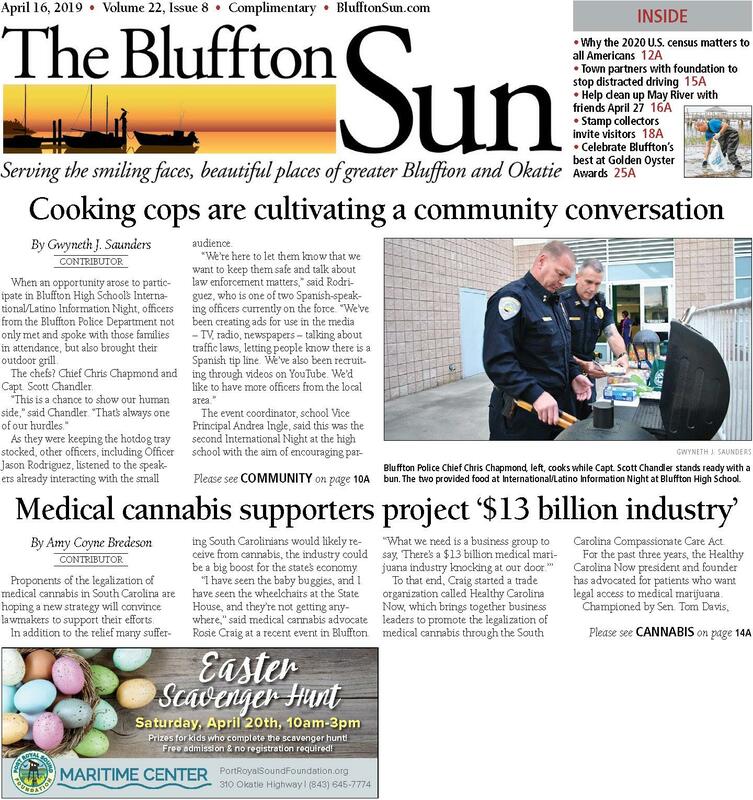 Marks' research will serve as the foundation for future, docent-led tours that will be presented by staff members of the Bluffton Historical Preservation Society. "Melanie is a history investigator and her two years of research sifting through documents, visiting cemeteries and interviewing community members has brought to life the story of Cyrus Garvin and his family during their life chapter as freed men and women," Mayor Lisa Sulka said. "We are forever grateful to Melanie for teaching us about who Cyrus Garvin was." Sponsored by the Office of Governor, the South Carolina Archives and History Foundation, the South Carolina Department of Archives and History and the Palmetto Trust for Historic Preservation, this award recognizes exceptional accomplishments in preservation, rehabilitation and interpretation of the architectural and cultural heritage of South Carolina. Marks donated her Garvin-Garvey House research to the Town of Bluffton. 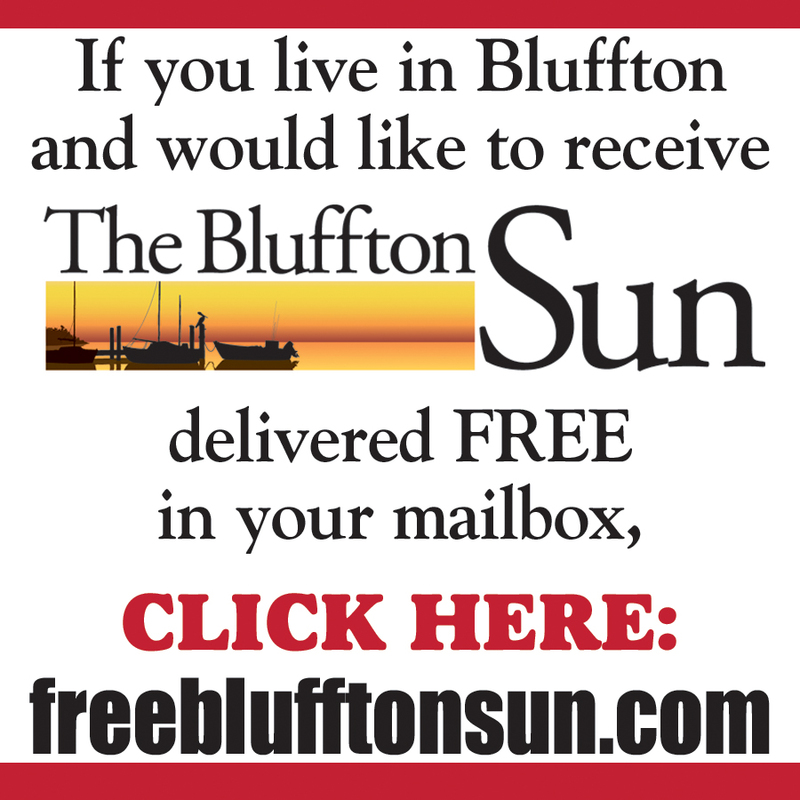 Erin Schumacher, the Town's historic preservation principal planner, submitted the application for the award after Marks presented several binders of research to the Town of Bluffton. 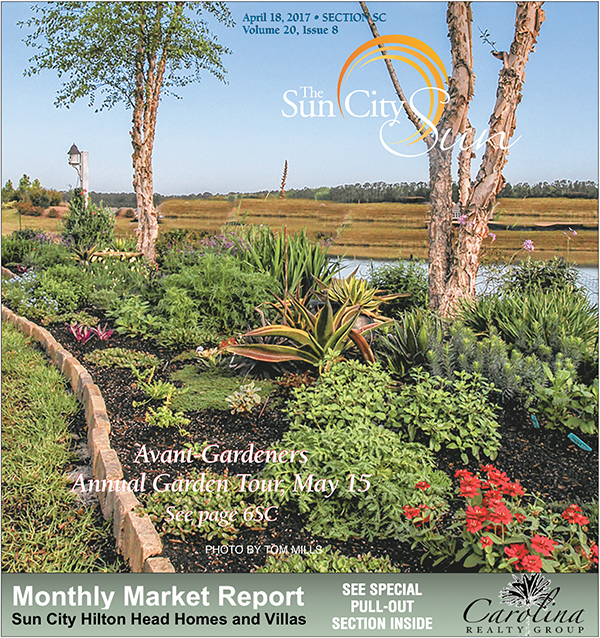 That research was compiled in an historical report, "The Garvin House: The Journey of a Freedman's Family, Bluffton, South Carolina." The report was co-authored by Marks' colleague, Patricia Hines. "Melanie's research has the potential to be the cornerstone of interpreting this historical period through the life of Cyrus Garvin," Schumacher said. "It is extremely rare to have a house still standing which was built nearly 150 years ago by a freedman." The Bluffton Historical Preservation Society (BHPS) will be offering docent-led tours of the Garvin-Garvey house, starting around Sept. 1. 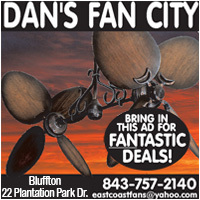 For more information or further details of the tours, call BHPS at 843-757-6293.